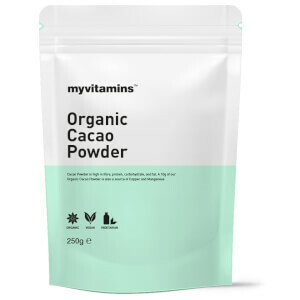 What Is myvitamins Whey Protein Powder? It is made from filtering, evaporating, and drying cow’s milk. 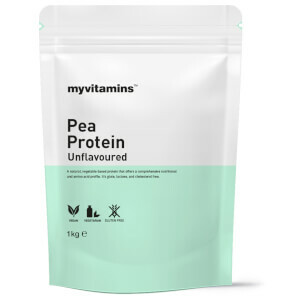 It contains 21g of protein per serving, which helps to build and maintain muscle.1 Our powder also contains essential amino acids, including 4.5 grams of BCAAs, and 3.6 grams of glutamine. Although a protein supplement, like a powder, isn’t necessary for muscle growth and maintenance, it can help. That’s because protein is an important component of every cell in our body — from our hair and nails to our joints and muscles. Expertly formulated into an unflavoured powder, our Whey Protein is a fast-absorbing source of protein that can supplement dietary intake. What Works Well With Whey Protein? For a complete nutritional boost, try adding our Multivitamin Powder with your Whey Protein shake. 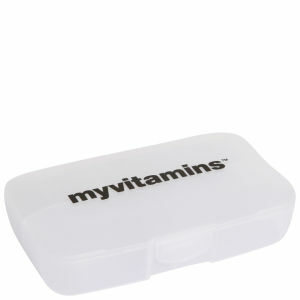 It contains a blend of 12 essential vitamins and minerals to support your overall health and wellbeing. We recommend mixing 40g to 150-250ml of water for shakes.